My client for this cake loved everything Star Wars! While I have done several cakes from the old school movies, this was the first that I did of BB8, one of the new characters. 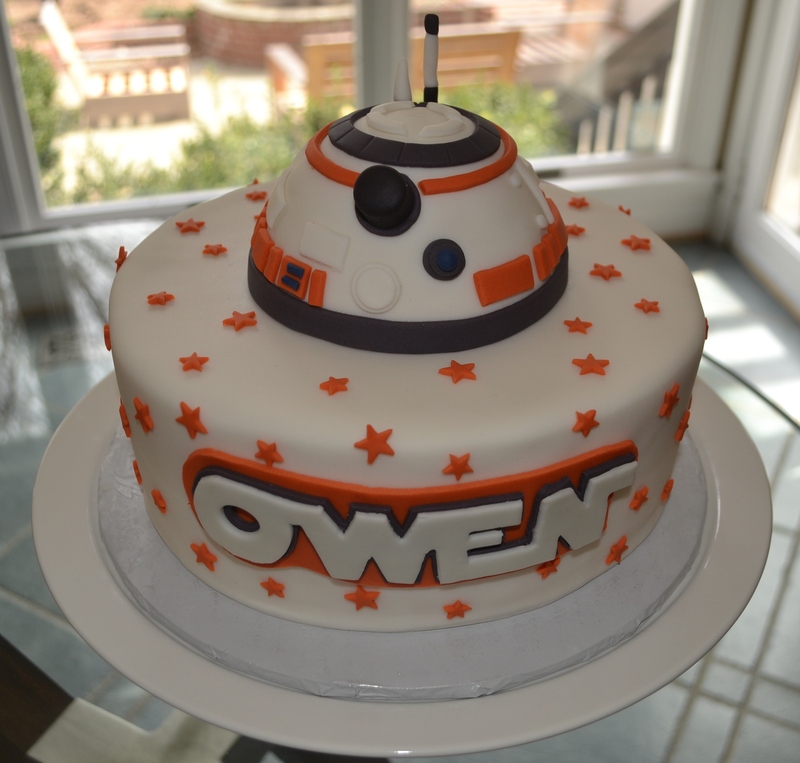 I used a 1/2 ball pan to create BB8’s “head” and then decorated the bottom layer with a more generic Star Wars theme. This is a great way to bring in a specific character without having to go the full, carved route.